It's time for our Notion of the Month! 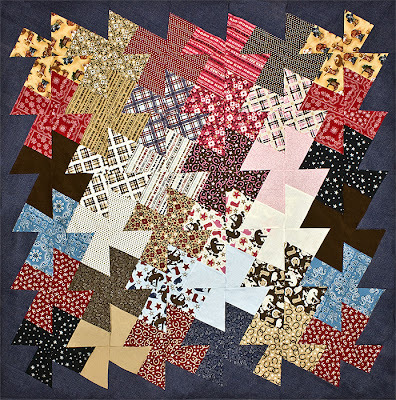 This month we have selected the Twister and Lil’ Twister Rulers by Country Schoolhouse Designs as our Notion of the Month. 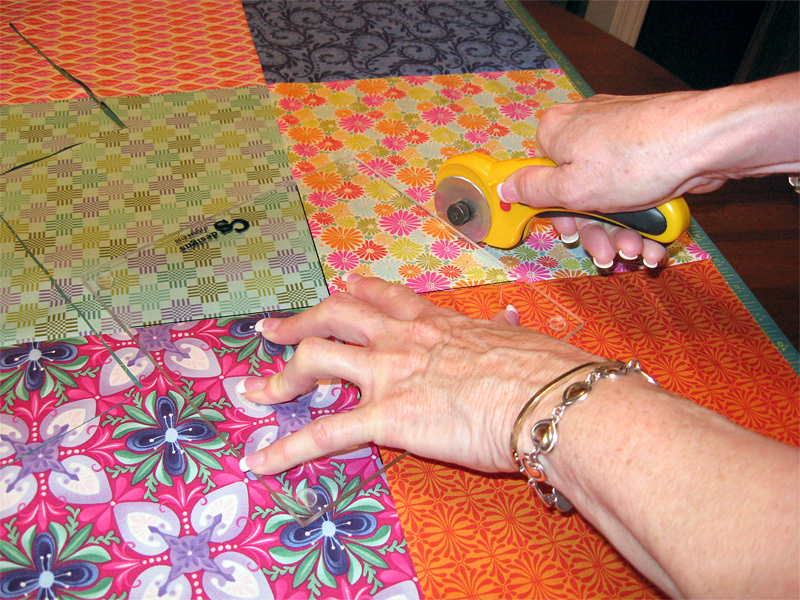 Marsha Bergren from Country Schoolhouse Designs is going show us how easy it is to use her Twister Rulers. And don't forget the Notion of the Month is 20% OFF all month! I am Marsha of CS Designs, Inc., and I have created the Twister and Lil’ Twister rulers and have written the Let’s Twist and Let’s Twist Again books that feature my rulers. 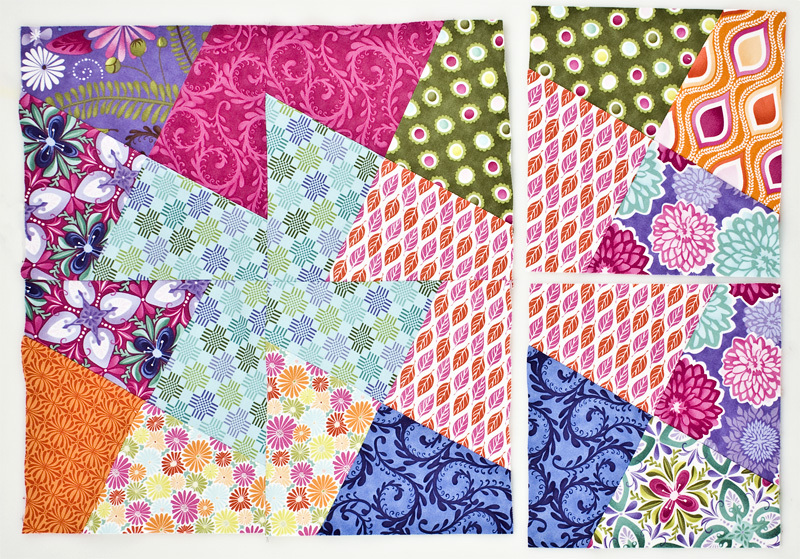 The Twister and Lil’ Twister rulers are designed to make quick easy pinwheels that look difficult but are so easy you will want to make bunches of them! 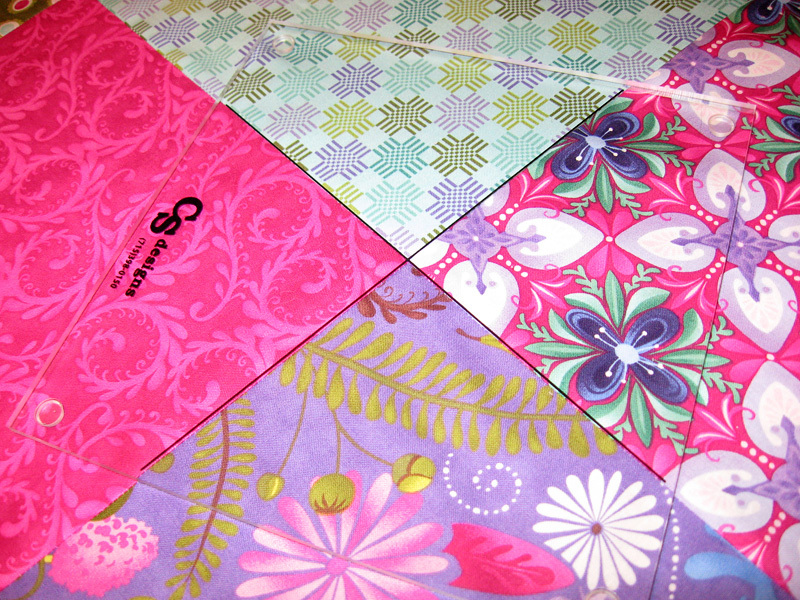 The Twister rulers are made of very high quality acrylic and have great non-slip feet, so using the rulers is a breeze. 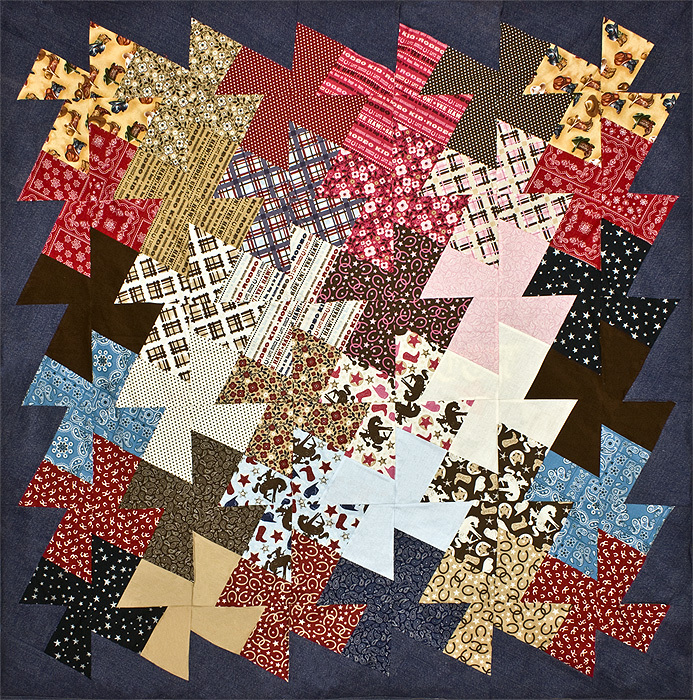 The Lil’ Twister is designed to be used with 5” charm squares and the Twister is designed to be used with 10” layer cake squares. 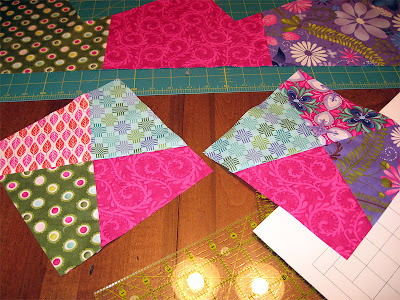 You can, of course, use yardage and cut your own squares or use your scraps, but the precuts are ideal. 3. 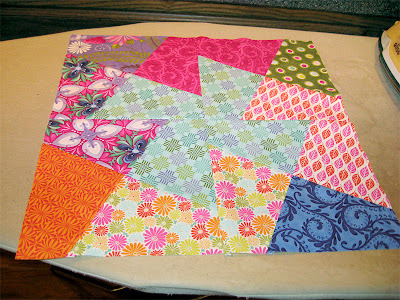 Sew the blocks together to yield those wonderful funky pinwheels! 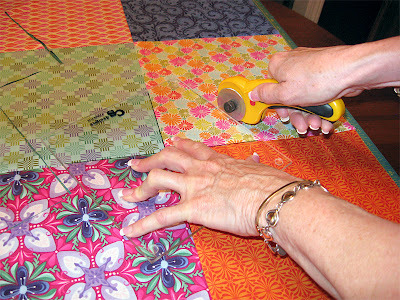 Following you will see an example using the Twister Ruler and a Terrain Layer Cake by Kate Spain demonstrated by Cheryl Cohorn from the Fat Quarter Shop. 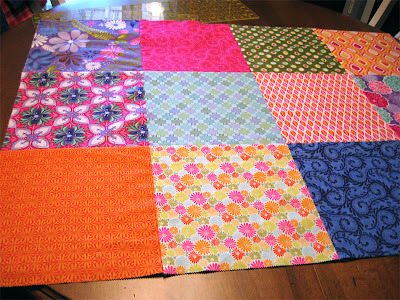 Sew layer cake squares together. 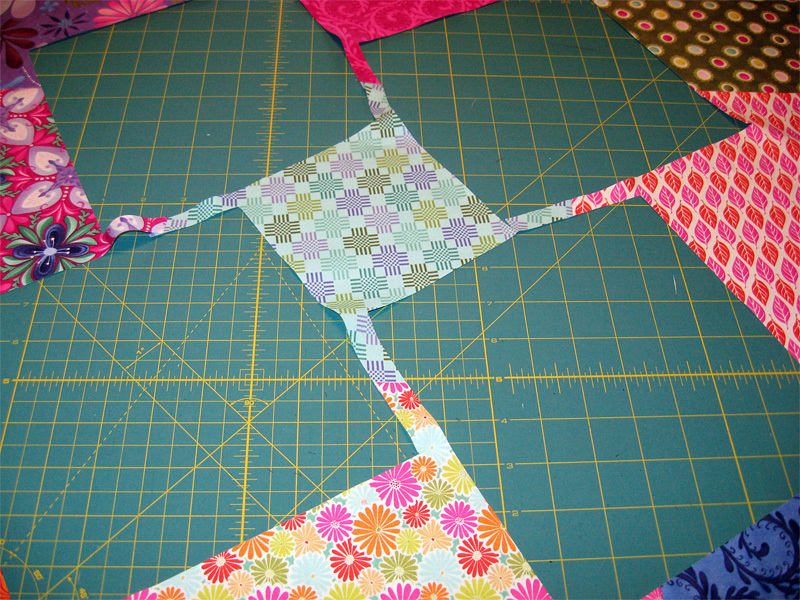 Place ruler on quilt squares by aligning black ruler lines onto corner seems. Cut out around the four sides of the of ruler. Sew blocks together by matching fabric that are touching. Repeat until your quilt is the size you want it. For inspiration on quilt ideas, the Let's Twist and Let's Twist Again Books have great quilt ideas. One of our new employees, Tish Bullard, was inspired by Cheryl Cohorn’s demonstration that she went home Friday with a Wanna be a Cowboy 2 10” Stacker and made this quilt over the weekend. This ruler is definitely contagious.